Searching for that perfect hotel to book for your upcoming solo trip to Paris? Look no more, the Hotel Regina is your answer! As always, trying to find a five star, luxury hotel that is affordable can be a challenge. A reasonable price usually comes some with some kind of downside such as a poor location, tired interiors, spotty wifi, no restaurant or lounge, questionable service and overall, mediocre hotel reviews. Before my recent trip to Paris, I thoroughly researched my lodging options. At first I thought I wanted to stay on the Left Bank, somewhere close to the famed Cafe de Flore and the St Germain de Pre Metro stop. Nothing suited my fancy; all of the hotels in this area were overpriced with ultra-small rooms and no in house restaurants or lounges. Since one of my travel pre-requisites and correspondingly, one of my favorite travel pleasures, is staying in a memorable, well-appointed hotel, I redirected my search to the Right Bank of the Seine. In past trips to Paris, it had been my experience that hotels on the Right Bank were of higher quality and accordingly, much more expensive but one listing, the Hotel Regina, piqued my interest. The hotel's website described the property as having "traditional French elegance paired with modern comforts," which was incidentally, still owned by a 4th generation Parisian family. "In 2015, a comprehensive renovation of the classic Art Nouveau- styled property in its Belle Epoque setting was completed restored to it's 19th century splendor. “Always exquisitely Parisian," was the additional hotel essence the website shared. Likewise, I had decided on this trip I wanted a thoroughly Parisian hotel, something authentic. Someplace that was elegant, sophisticated, not too trendy and, by all means, not passé. From the hotel's introductory description and photos, I dug deeper. It's location, in the 1st arrondissement, seemed to be perfect and maybe even "too good to be true!" 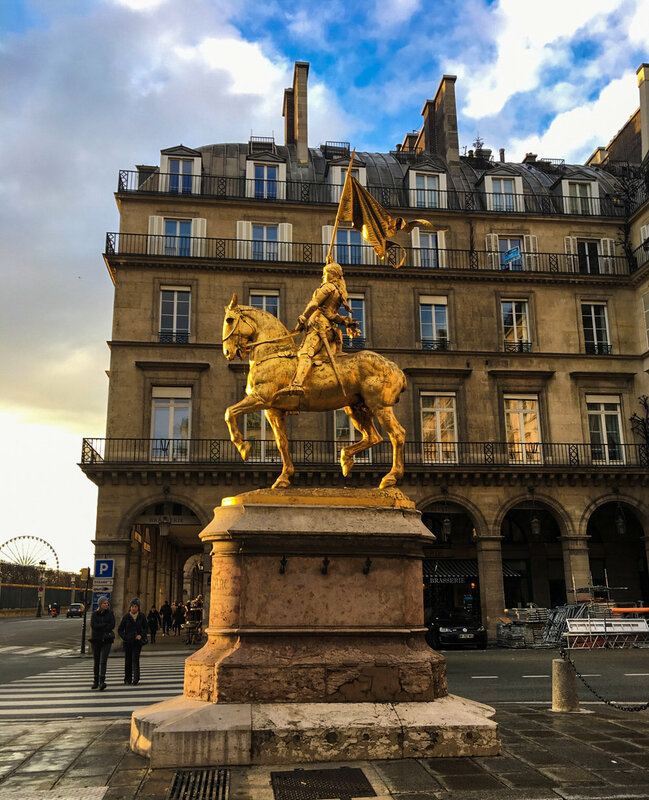 The Hotel Regina was situated right across the street from the Louvre, along the Rue de Rivoli and adjacent to the Tuileries Gardens, making it walkable to most everything I or any other solo traveler might want to do in Paris. Plus, it was a 10 minute straight shot over the Seine via a walkable bridge to Rue de Bac which leads right into the heart of the Left Bank. In addition, if I needed to take the Metro, there were three stops less than 5 minutes away from the Hotel Regina. Reading on, the hotel's website shared that it offered 99 spacious guest rooms and suites, a fine dining restaurant, a refined bar and tea salon, plus, an inviting parlor for your morning breakfast. During the warmer months an attractive courtyard, dining terrace with live entertainment was open. Likewise, the hotel offered top notch service amenities such as a Golden Key Concierge, 24/7 room service, free wifi and transportation to and from the airport upon request. Now for the "24 Million Dollar" question: How much does it cost to stay in a five star, historic hotel, in the heart of Paris? Most of the quality, four star hotels in the central area of the city, whether on the Right or Left Bank, charge around $300-$350 a night depending on the season. Five star hotels typically start at $650-$850 per night for a standard room. OUCH!! Surprise, surprise! Because I was traveling to Paris in late November near the end of the shoulder season and I was staying for an extended amount of time, seven nights, the room rate I was quoted for the Hotel Regina was $270 per night. I hesitated when I saw this quote thinking what could be wrong with this hotel? Was it haunted? Did it feel outdated? Did it have an unappealing oder? No, it didn't have a spa or an exercise room, but could that be the reason for such an an affordable price for a luxury hotel? Is This Hotel Too Good to Be True? Skeptical, I continued to look for lodging alternatives. I even perused Airbnb and apartment rentals but nothing could compare to what was offered by the Hotel Regina. I always find it a little un-nerving to book a well-priced, luxury hotel. You never know until you get there whether it is what you expect it to be. Last, I read several pages of prior hotel guest's reviews and 95% of them were full of glorious praises. Thus, I "bit the bullet" and booked the Hotel Regina, which turned out to be a "spot on" decision. Here is my review of one of the most delightful, boutique luxury hotels I have ever stayed in anywhere in the world. 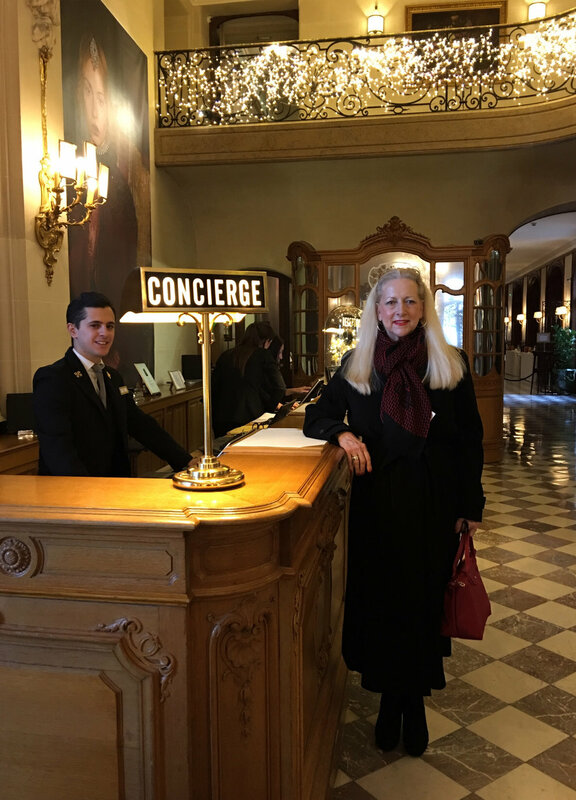 After a long, one stop flight from Louisiana to Paris, a Blacklane limo picked me up at Charles DeGaulle airport and livered me to the Hotel Regina. Driving into the city, I wondered what the hotel would really be like and hoped that at least my room would have a comfy bed. In many older properties in Europe, I have found the beds to be a bit worn out and somewhat lumpy. A good bed with a quality mattress, fluffy pillows and high thread count bed linens are a must to ensure a good night's sleep. This might sound like a silly thing to fixate on, but as a solo traveler, I need to be well-rested, alert, and ready for anything. We pulled up to the hotel's entrance and, alas, I immediately recognized where I was. Several years back on a prior trip to Paris, I had taken a day tour to Chateau de Fontainebleau from a travel agency located next door to the hotel. Yes, the Hotel Regina was definitely centrally located and I immediately felt I had my Paris bearings, realizing I could walk to most everything I had planned to do on my itinerary. This is Paris. I’m in love! The white-gloved doorman opened my limo door and escorted me through the gorgeous, Old World revolving, oak door into the lobby. My first reaction was, "What a splendid lobby this was!" The magnificent room's interior was appointed with crushed velvet brocade covered antique furnishings arranged in elegant seating areas, a grand piano, healthy fern-like, palm plants in shellacked green planters strategically placed for aesthetics. The Hotel Regina's "grand salon" lobby was highly refined with two story ceilings adorned with crystal chandeliers. Its gorgeous Ant Nouveau, etched glass windows made for a to-die-for entrance. My heart beat became elevated: "This is Paris. I'm in love!" Because I had arrived in the early morning, my room was not yet ready. 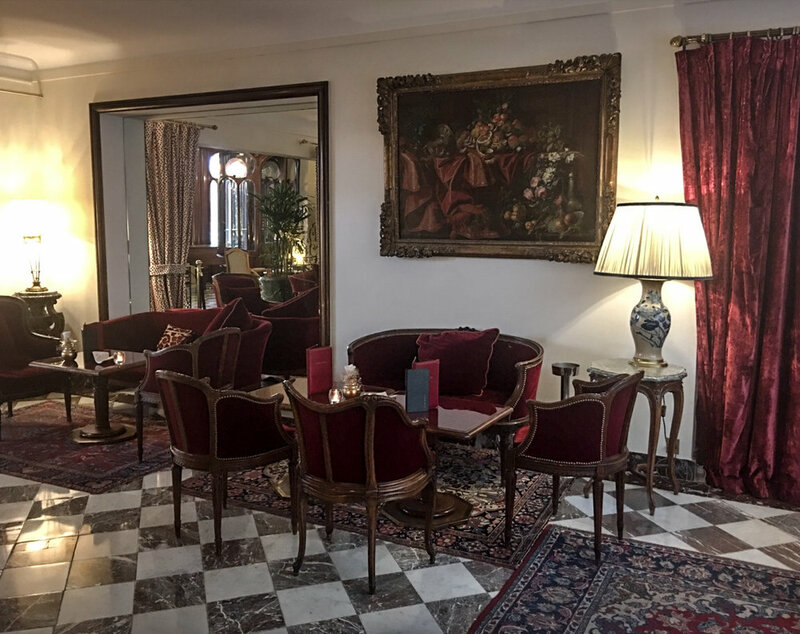 The receptionist had my bags stored and suggested I should relax by having a cup of coffee or tea in the drawing room off of the grand salon lobby. 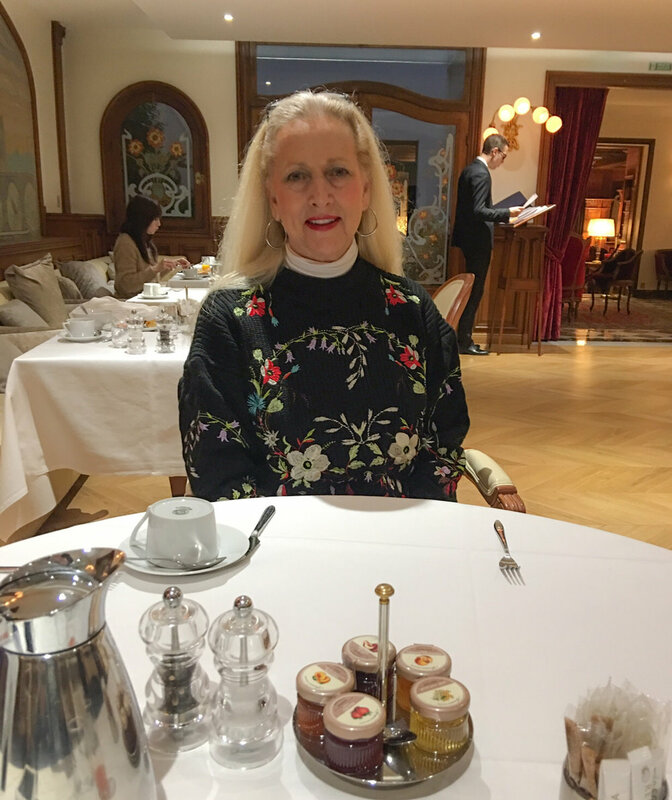 Beautifully appointed with French oil paintings, oriental rugs and gorgeous, multi-styled antique chairs and settees covered with dark maroon velvet, I felt like a French aristocrat while I enjoyed a nice cup of tea. I was advised my room would not be ready until 11:30am, so I decided to consult the concierge about getting me tickets to the Dior exhibit which was across the street in the Museum of Decorative Arts located in the Louvre. Not only did he readily secure the tickets for me which prevented me from having to stand in the long line that is always in front of this wildly popular exhibit, he suggested a Michelin star restaurant in the nearby Palais Royale for my lunch meal. Off I went to start my first day in Paris, relieved to know nothing was wrong with my hotel selection. Quite the contrary, so far it proved to be a fabulous choice. As advertised, the Dior exhibit was exceptional. Drooling over the many displays of fashion-filled rooms showcasing 70 years of this famous French brand, I lingered at the exhibit until the doors closed at 5:00pm. Happily, all I had to do was walk across the street to get back to my hotel which was super because I was beginning to feel my jet lag setting in. What a location, I thought! I was definitely a happy camper. The bellman retrieved my bags and showed me to my room. The minute I walked in, I knew I would love coming back to this luxury retreat. The light taupe-colored room was incredibly spacious and comfortable. As previously shared, Parisian hotel rooms, even in luxury hotels, can be extremely small by Western standards, especially the bathrooms, not the case at the Hotel Regina. As I unpacked, placing my clothes and placed them into the built-in armoire complete with shelving, drawers and a hanging rack, I inspected the room. As in the hotel's Grand Salon lobby, more beautifully covered antique furniture was part of my room's decor which included a desk, a small table with a bowl of fresh fruit and two side chairs. The bed was made with crisp white bedding, multi-sized pillows and an accent throw. As many travelers, I love those extra large pillows you get in European hotels. I sat on the bed and flopped back onto the pile of pillows, "Heaven!" An in-room safe and a mini bar filled with FREE snacks was also located in the armoire. Almost falling asleep, I forced myself to get up and finish unpacking. Next, I found the plugs and immediately began charging my phone and auxiliary portable tech batteries. Another pleasant surprise was the hotel supplied its guests with a variety of electrical adapters to prevent your tech or beauty appliances from being damaged. No need to bring all of those different adapter plugs. Now that's attention to detail. Likewise, the marble adorned bathroom was well-appointed and quite adequate in size for a Parisian standard hotel room. Complete with a large tub/shower, heated towel racks, plush towels, a comfy bathrobe and slippers, plus, French toiletries which included bath salts to help soothe your aching muscles after a hard day of fun in Paris. I have NEVER had bath salts as part of the toiletries in my room anywhere in the world, only in Paris and only at the Hotel Regina! Once I had fully unpacked, I decided to head down to the English Bar and have one glass of wine to fully knock myself out before going to bed. One thing I appreciate as a solo traveler, is a warm, well-appointed hotel bar that I can feel comfortable in when having a drink alone. Being able to relax and unwind as a solo traveler without feeling you are the odd person out or that you have to avoid an unwanted rendezvous in a hotel lounge, is a common amenity of a well-run hotel. Luxury hotels of this caliber, consistently, have extremely civilized bar areas. I know this might sound a little off the wall but one of my criteria for a solo-friendly hotel is for it to have a lounge that a solo traveler would feel at total ease alone having a glass of wine or two. The very French, sophisticated English Bar in the Hotel Regina scores top marks for lounge quality. First, the interior is simply wonderful. Rich, oak paneling adorns the walls, beige marble floors accented with black squares are divided into several seating areas with distinctive oriental rugs and some more of that GORGEOUS antique furniture covered with dark maroon velvet found in the tea salon. The bartender was attentive and offered me a menu with a great list of standard and craft cocktails, as well as, an extensive French wine and champagne list to decide what I wanted to order. You know a hotel bar is good if the locals patronize it to relax. What immediately struck me was that the beautiful Parisians also enjoy drinks and light snacks in the Hotel Regina's English Bar. While I sipped my glass of delicious white, French Burgundy, I enjoyed people-watching the elegant Parisians end their day. Directly off of the English Bar is an outside terrace where one can dine and drink. In addition, if you are a smoker, this is where you can enjoy a cigarette or cigar. This prevents you from having to stand in front of the hotel to enjoy a smoke. Another well thought out detail that keeps this hotel first class in every way. Also, a favorite of the local Parisians is the hotel's fine dining, Boudoir Restaurant which serves a variety of French food specialties such as foie gras, squid salad, pan-seared scallops, duck, elaborate cheese boards and a wide selection of scrumptious desserts, plus, a wonderful French wine list. Sadly, I never had the opportunity to dine here while I was in Paris on this trip, but for informational purposes, the restaurant is open for lunch from 12:00-14:30 and for dinner from 19:00-22:30. After restful night's sleep, I enjoyed my first breakfast in the hotel's morning room. Another beautiful area complete with a fireplace and gorgeous Art Nouveau, etched glass windows. Not being hungry, I declined the buffet and order a strong cup of coffee and a croissant. I am not a fan of big breakfasts ,but if you are, the Hotel Regina's buffet will not disappoint. Last, it would be remiss if I didn't praise the hotel's concierge staff. All of these service personal are members of the prestigious, Les Clefs d'Or, a highly coveted, difficult to obtain designation. Daily, the hotel's concierge would book my museum and theater tickets, plus, the oh so difficult restaurant reservations. In Paris, having a well-respected concierge book your outings, gets you into places that many people fail to access. In addition, the staff's recommendations of what to do and what not to do were invaluable. A superior concierge can make a good trip great. As a trusted solo travel advisor, one of my most satisfying pleasures is finding and recommending one of a kind, authentic hotels. The world is filled with beautiful “luxury” hotels, many of which I have found to be predictable and somewhat cold. The Hotel Regina is on the opposite end of this spectrum. Elegant, refined, warm, historic with modern amenities … this hotel is a Parisian gem. If you are traveling solo to Paris, treat yourself to a stay at the Hotel Regina. If you are interested in finding out more and booking a room at the Hotel Regina, click on Booking.com, Expedia or Trip Advisor. You will notice that prices will vary among the sites and will, likewise, vary depending on the time of year you are traveling to Paris. One last tip: you can save up to 30% on your flight and hotel cost if you book these two reservations together as a package. As always, I value all of my readers' feedback and comments. Don't hesitate to share your thoughts or questions with me. 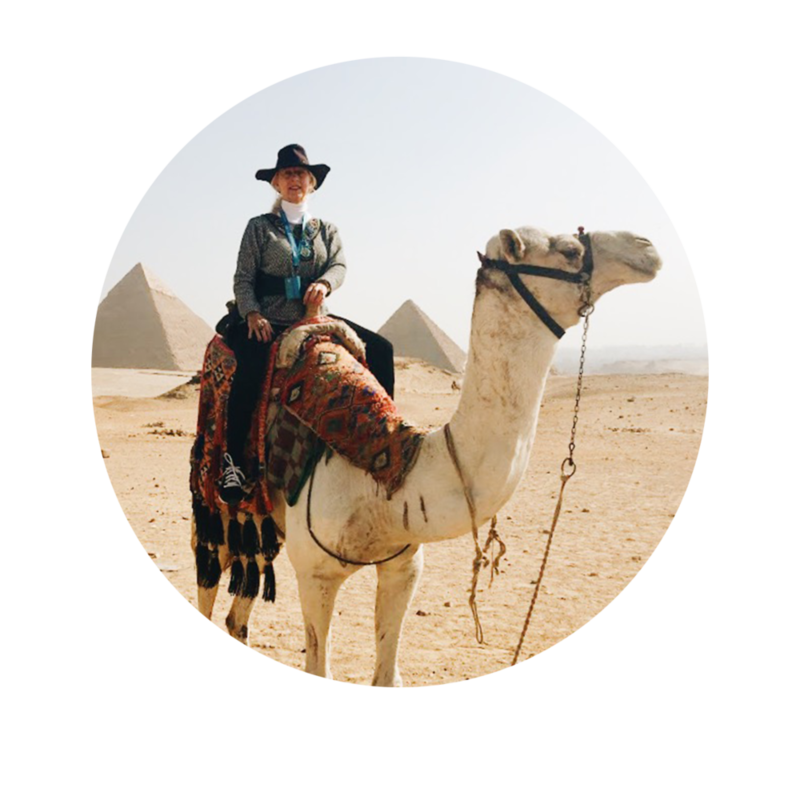 To stay up-to-date on all of Astrid Solo Travel Advisor's travel tips, affordable luxury ideas, products and services, follow us on Instagram, Facebook and Twitter. To get these tips and a behind-the-scenes look at my recent trips, sign up for our monthly newsletter.